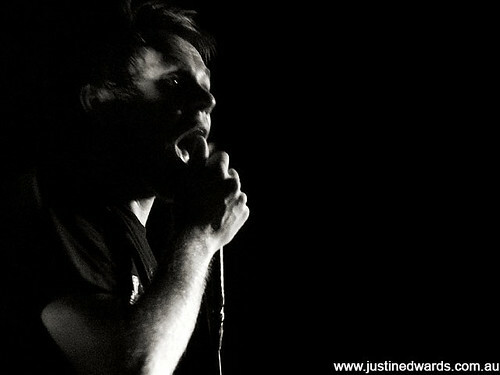 Having seen a fair number of fantastic photos from the UK of Enter Shikari from the likes of Danny North and Peter Hill, this was a gig that I was really looking forward to photographing (despite feeling the effects of the Big Day Out the day before). Whilst The Arena can be very hit and miss when it comes to lighting, and is more often than not very, very red lighting when nit is being a â€˜hitâ€™, it has the advantage of being one of the few venues in Brisbane with a permanent photo pit. So it was disappointing to get to the doors of the venue and see a poster saying that because of poor ticket sales theyâ€™d moved the gig to The Zoo. The Zoo also has very hit and miss lighting, more â€˜missâ€™ than hit in recent months, but has no photo pit. 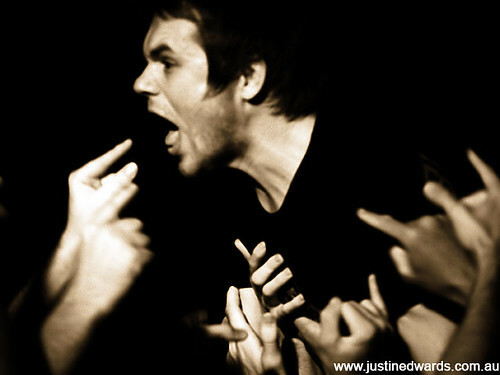 And photographing a band like Enter Shikari from the crowd wouldnâ€™t be top of my list of things to do for fun. My worst fears were realized when the support band Amity Affliction played in the dark, with no one working the lighting desk, something that didnâ€™t change for the headline band. Managed to squeeze down the side of the stage and get near the front. A couple of seconds after they had come onto the stage saw something whiz past my lens as I was looking through the viewfinder â€“ the guitarist, complete with guitar, had decided to go stage diving over my headâ€¦â€¦Because of the signs everywhere in The Zoo warning of expulsion for stage diving and crowd surfing, the band were worse for stage diving than the audience, but it was still very uncomfortable being in the crowd and near the front with so much camera gear. And so the combination of lack of light and a band that doesnâ€™t stay still for a second made it a truly forgettable photographic experience; the worst set of photos that taken in a long, long time, possibly ever. Such is life. About as good as it got. 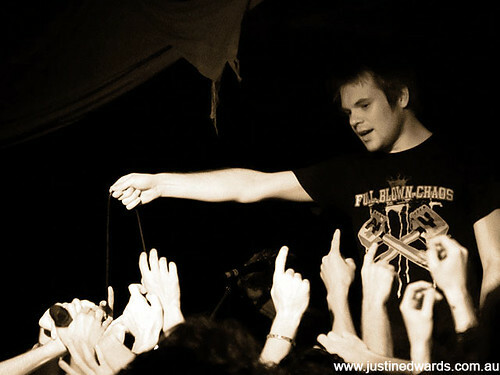 This would have been great if not for the motion blur in Rouâ€™s face. This entry was posted on Sunday, February 17th, 2008 at 12:27 pm. 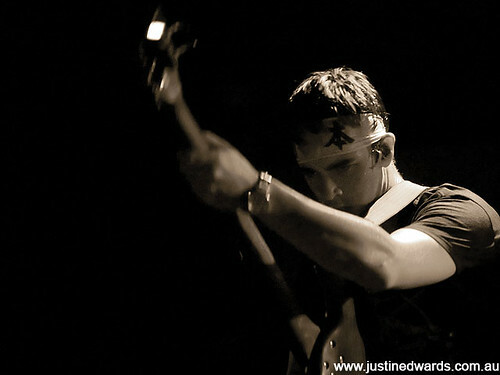 It is filed under Music Photography and tagged with Enter Shikari, Justin Edwards, The Zoo. You can follow any responses to this entry through the RSS 2.0 feed.